Mr. Dalis L. Jordan entered into everlasting rest on Friday, August 31, 2018 in the Florence Rehabilitation Center, Florence, SC after a lengthy illness. Mr. Dalis Jordan was the son of the late Maryland D. Jordan, Sr. and Alice Ford-Jordan. Dalis was born on January 13, 1946. Dalis was educated in the Marion County Public School System. Dalis was preceded in death by his parents; his daughter, Torchia Jordan and two grandchildren, Octavis D. Pruitt and Willie C. Williamson, III. 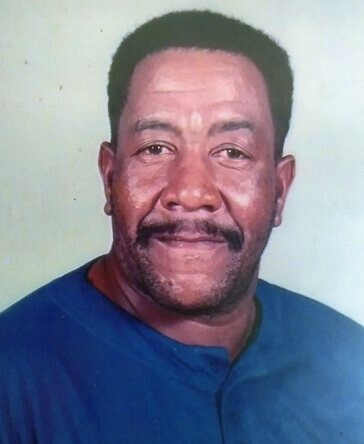 Those left to cherish Dalis’ memories is his loving wife, Mary Jordan; his daughters: Brenda L. Pruitt and Janice M. Jordan, both of Miami, FL; Four (4) grandchildren: La Shune Pruitt, Ashley Jordan, Johnny L. Jordan, Brenda R. Jordan; Eight (8) great-grands, three (3) sisters: Lenora . Mordan, Bonnie F. Johnson and Mary A. Bethea, all of Lake View, SC; three (3) brothers: Donald G. Jordan, Linward (Julia) Jordan of Lake View, SC and Willie L. (Guadelupe) Jordan of El Paso, TX and a host of nieces, nephews, cousins and friends.